To all those living in the U.S., a very Happy Thanksgiving Day -- the annual occasion to give thanks and enjoy lots of good food and drink. The feasting started early with our family crowd. 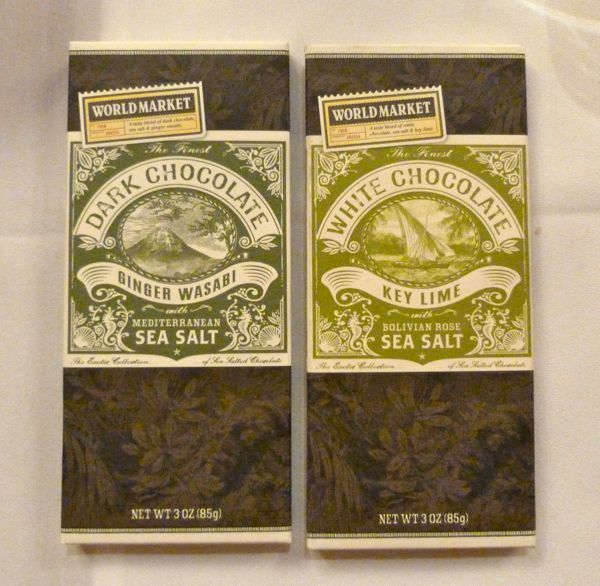 However, I did find time to sample two more bars from World Market's exotic sea salt collection. 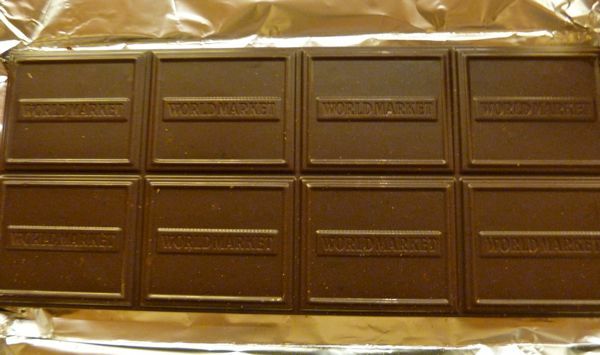 First was a Dark Chocolate bar flavored with bursts of wasabi heat, and slight hints of ginger, punctuated by small flare-ups of Mediterranean sea salt. This was a somewhat uneven bar, but interesting and worth trying for the fun of it. I shared this bar with a few family members. My sister liked it because she liked wasabi, but not ginger (and the ginger was less strong). 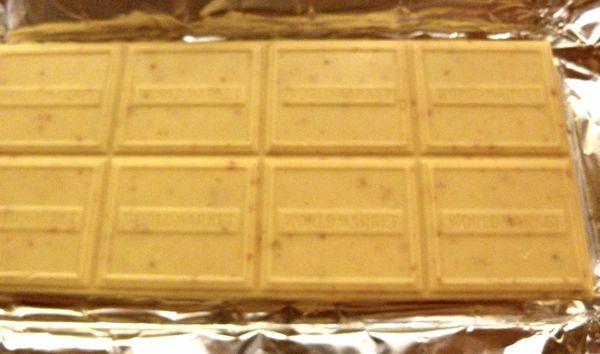 The second, white chocolate, bar was flavored with tiny bursts of key lime and lighter touches of salt. My young niece liked this bar, as a lighter alternative to dark chocolate. Thank you to tasting help from the DeBra's, and other extended family members. 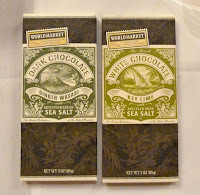 Today was Day #5 of Chocolate and Sea Salt Theme Week.